Q: What is a bio-system? A: The term bio-system in this context refers to the human biological system. Q: What is a four body system and why is it necessary to tune and integrate the bio-system in order to experience the benefits of The Prana Program? A: Research shares that human beings have a four body system – physical, emotional, mental and spiritual, that can be likened to a four string guitar. Each has their own note and when tuned, the music played (and the life lived) is magical and a being becomes both harmonized and limitless. When out of tune, people – like an ‘out of tune’ instrument – can experience various forms of emotional, physical or mental dis-ease. When these bodies are harmonized and integrated to support a common goal – such as the conscious manifestation and experience of our Divine essence through all realms, then The Prana Program is activated to another more potent level. Q: What do you mean by Four Body Fitness? A: Many metaphysicians are now convinced that personal health and happiness requires holistic education that also stimulates the activation of the seven senses. These include sight, sound, touch, taste, smell, intuition and the seventh sense of knowing, that sense that says, “I know that I know but I’m not sure what it is that I know but I know that I know it!” After decades of personal experimentation I have discovered that the sixth and seventh senses, and all our senses, can be refined and fully activated by our lifestyle choice. I call the full activation of all our senses “Four Body Fitness” as this activation brings physical, emotional, mental and spiritual health and full activation of our senses can only occur when we are well tuned on all levels. Four Body Fitness allows us to have love, health, wealth, passion and purpose in life and also positive relationships with family and friends. It is also a sign of good pranic flow. 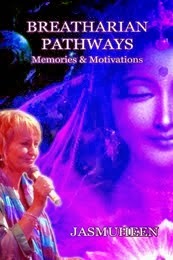 Q: In chapter one you defined what prana is, where can we get prana from? “Basically, there are three major sources of prana: Solar prana, air prana, and ground prana. Solar prana is prana from sunlight. It invigorates the whole body and promotes good health. It can be obtained by sunbathing or exposure to sunlight for about five to ten minutes and by drinking water that has been exposed to sunlight. Prolonged exposure or too much solar prana would harm the whole physical body since it is quite potent. “Prana contained in the air is called air prana or air vitality globule. Air prana is absorbed by the lungs through breathing and is also absorbed directly by the energy centers of the bioplasmic body. 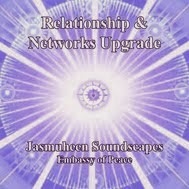 These energy centers are called chakras. More air prana can be absorbed by deep slow rhythmic breathing than by short shallow breathing. It can be also absorbed through the pores of the skin by persons who have undergone certain training. “Prana contained in the ground is called ground prana or ground vitality globule. This is absorbed through the soles of the feet. This is done automatically and unconsciously. Walking barefoot increases the amount of ground prana absorbed by the body. One can consciously draw in more ground prana to increase one’s vitality, capacity to do more work, and ability to think more clearly. There is also a way to draw prana inter-dimensionally via the atoms using alternate internal feeding mechanisms as shared in the last section of this book. Q: Why is prana now being used as an alternative food source? A: The rediscovery of this ancient yogic practice and the holistic education of its benefits in the west, will allow the western world – as a force of monetary power and compassionate conscience – to utilize this energy (along with aid and resource redistribution programs) to eliminate individual and global physical, emotional, mental and spiritual anorexia which I feel is currently responsible for most of the disharmony on Earth. Metaphysically it is known that when a species is ready to take another positive step in their evolutionary journey, individuals who are tuned and open, are able to access, from the U.F.I. 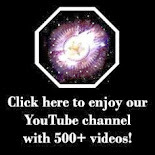 – the universal field of infinite love and intelligence – any data they need to achieve this so The Prana Program is now being experienced by more and more. Q: Does a person need to have a good intellectual understanding of prana in order to experience its benefits? A: Not at all. There are many people who calibrate naturally at the perfect levels to experience many of the benefits of The Prana Program. That said, education and information can be very beneficial. For example, I recently discovered that my new computer can do things that I was previously unaware of until my daughter told and showed me. These happen to be very beneficial features that I can now use that I previously didn’t know of. Similarly with The Prana Program. Until we know what a system is capable of we cannot, and will not, unhook from older and often more limiting, habitual ways. Education widens our freedom of choice and can stimulate more creative thinking to fine tune our manifestation abilities. 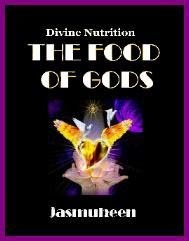 Q: In your book The Food of Gods you talk about a three level system of Divine Nutrition. Can you explain this?  Level 1 is the gift of life – the fact that there is a force that loves us enough to constantly, automatically breathe life into us.  Level 2 is being conscious of this force and using it to create physical, emotional, mental and spiritual fitness and to increase our health and happiness levels.  Level 3 is exploring and accepting all the gifts this force can deliver when we increase its flow – particularly the gifts of freedom from perceived human limitations. Q: So the Food of Gods is prana, is this also Elan Vital? A: Yes, it is also called manna or food from heaven. 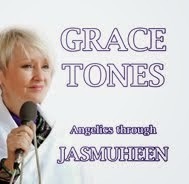 It is produced in the body naturally and more can be attracted to the body via the internal and external planes. Another name for prana or Chi, Elan Vital is known as the force that brings inanimate objects to life. [n] (biology) a hypothetical force (not physical or chemical) once thought by Henri Bergson to cause the evolution and development of organisms. 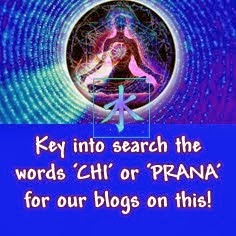 Q: Is this force that you call prana the same as chi? A: Yes, according to http://www.wordiq.com/dictionary.html, “Chi in English is often spelled as chi or ch’i. The Japanese form is ki. Qi is a fundamental concept of everyday Chinese culture, most often defined as “air” or “breath” (for example, the colloquial Mandarin Chinese term for “weather” is tiān qi, or the “breath of heaven”) and, by extension, “life force” or “spiritual energy” that is part of everything that exists. References to qi or similar philosophical concepts as a type of metaphysical energy that sustains living beings are used in many belief systems, especially in Asia.” Some of the Taosits masters also see chi as cosmic particles and say that where mind goes chi flows, so we need to understand the power of the mind in order to effectively influence energy dynamics and field flow. Q: Is chi force then also a perfect blend of yin/yang energies and is that why The Prana Program requires internal energy balance? http://www.almaranea.net/light/beginning.html: “To understand Chi we must look back to the very beginnings of Oriental Medicine to Taoism (pronounced: dow-ism) which means The Way. Taoism is the most influential root of Oriental Medicine. The ancient medicine people or Taoist's main focus was to observe the ways of the natural laws governing the universe as a method to understand the unseen inner world of our bodies. 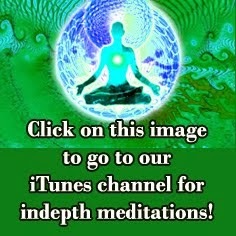 Q: How does this chi flow through the body? Q: Is prana the same as photon energy? 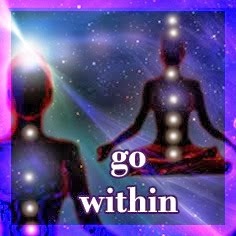 A: In The Prana Program context, many see the photon as forming an energy band of pure cosmic Christed consciousness, or pure Divine Love consciousness, that is currently bombarding the Earth to activate within her inhabitants a dormant force of love and wisdom that we need to use to make positive evolutionary choices. In this context prana and photons exhibit the same qualities. 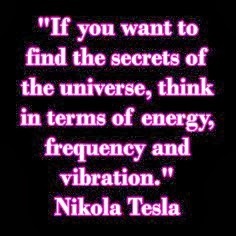 Q: What about orgone energy? A: At http://www.orgone.org/aaintro00.htm Charles R. Kelley wrote: “Franz Anton Mesmer called it animal magnetism; Charles von Reichenbach called it odyle. To Henri Bergson it was the elan vital, the “vital force”; while to Hans Driesch it was the entelechy. Sigmund Freud observed its functioning in human emotions and termed it libido. William MacDougall, the great British – American psychologist of a generation ago, labeled it hormic energy. Dozens, if not hundreds, of lesser – known scientists have recognized its presence and have given it a name to characterize its special properties. Among the 20th-century proponents of the concept are, for example, Doctors Charles Littlefield and his vital magnetism and George Starr White and his cosmo-electric energy. Mechanistic science in the 17th through 19th centuries embraced many of its essential qualities in the concept of the ether, while mystical human beings have embraced other essential qualities of it in the concept of god. 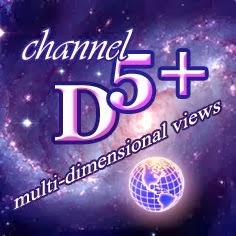 Q: What is the difference between The Prana Program and the Solar nourishment program that you discuss in Chapter 8? A: Solar nourishment is one way of obtaining micro food via our physical sun. It is ingested directly into the brain through the eyes and also through the pores of the skin. Hence as an external source of prana it is a small part of The Prana Program. 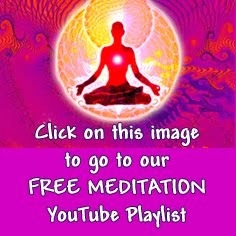 However the feeding mechanisms we have been researching absorb and attract more prana from the inner planes, inter-dimensionally, and this way keeps us free from any external dependencies for nourishment as we draw prana through the atoms magnetizing cosmic particles to us via our resonance.